A "hot zone" in EverQuest refers to a zone in which the experience is temporarily far greater than in other zones of similar difficulty. The hot zones change once or twice per year. These hot zones are usually given a new zone wide rare, generally in the form of an augmentation for your gear. Franklin Teek (shown by on map below) offers daily quests for each of these hot zones, which reward players with their choice from a selection of newbie gear. Franklin can be found in the Plane of Knowledge, near the Guild Lobby entrance. In the list of hot zones below, click on the to expand the directions to the hot zone. The zone wide rare aug is listed next to each hot zone. Use the Overthere stone (shown by on map below) in PoK. This will take you to The Overthere. The Warslik Woods zone line is South East of the PoK Book, along the East wall. Use the Nexus stone in PoK (shown by on map below). This will take you right to the Nexus. From the Nexus, take the North tunnel to the Netherbian Lair. Follow the passage in Netherbian Lair until it comes to a X crossing, take the West tunnel at the crossing to Merus Seru. Use the Overthere stone (shown by on map below) in PoK. This will take you to The Overthere. The Frontier Mountains zone line is far South of the PoK book, along the South wall. Use the Nexus stone in PoK (shown by on map below). This will take you right to the Nexus. From the Nexus, take the North tunnel to the Netherbian Lair. Follow the passage in Netherbian Lair straight to Dawnshroud Peaks. In the Guild Lobby near the Guild Hall doors is Magus Alaria. Tell her "Nedaria's Landing" to be instantly ported to Nedaria's Landing. From here, head South East to the Jaggedpine Forst zone line along the East wall. Use the Firiona Vie stone in PoK (shown by on map below). This will take you to Firiona Vie. Follow the passage until it comes to an X crossing. Take the West passage straight to Dreadlands. From Dreadlands, head North West to the Burning Woods zone line along the North wall. 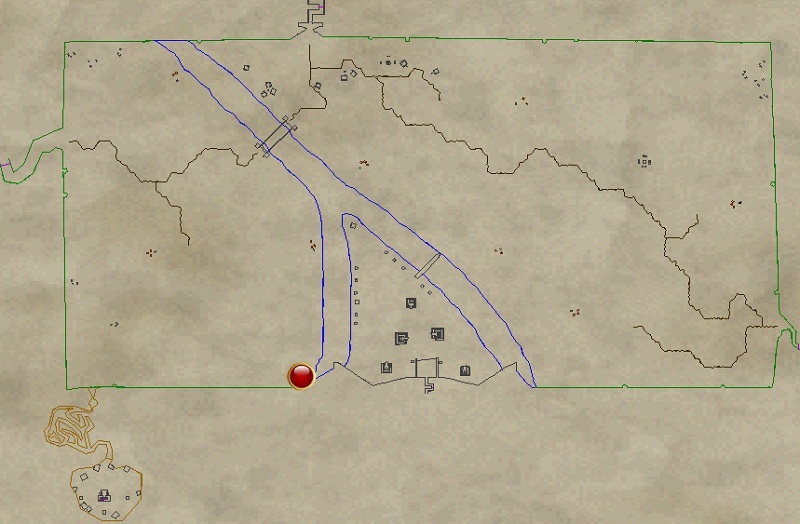 Take the Neriak stone in PoK (shown by on map below). This will take you to the Nektulos Forest. From here, follow the river West to the Corathus Creep zone line. In PoK, head to the high section where the Library is located. Just outside of the front of the Library (shown by on map below) you will find Priest of Discord. Tell him that you "wish to go to Discord", and he will port you to Dranik's Scar. From here, head North West to the Bloodfields Zone Line. Take the Neriak stone in PoK (shown by on map below). This will take you to the Nektulos Forest. From here, follow the river West to the Corathus Creep zone line. Once in Corathus Creep, head to the extreme West end of the zone for the Undershore zone line. Alternatively: You may take the Guild Hall portal to Undershore. Use the Undershore Coral on the portal merchant. Use the Plane of Tranquility stone (shown by on map below) in PoK. Once in Plane of Tranquilty, head West just a short distance to a round, brick building. Inside the building there is a big pot with red glowing contents. Click the contents of the pot to be ported to Plane of Air. In PoK, head to the high section where the Library is located. Just outside of the front of the Library (shown by on map below) you will find Priest of Discord. Tell him that you "wish to go to Discord", and he will port you to Dranik's Scar. From here, head North to the Nobles Causeway zone line. Once in Nobles Causeway, head to the North end of the zone again to the Wall of Slaughter zone line. Alternatively: You may take the Guild Hall portal to Wall of Slaughter. Use the Chipped Shard of Slaughter on the portal merchant. Locate the Herald of Druzzil Ro (shown by on map below) in PoK, and tell him "time". This will port you to the Plane of Time. From here, move South West a very short distance and youll see a purple shiney portal. Click the portal to be transported to The Void. Once in The Void, go through the North most portal, which will take you to another portal. Go through the second portal to be transported to Oceangreen Hills. Alternatively: You may take the Guild Hall portal to Plane of Time. Use the Broken Timestone on the portal merchant. Use the Ak'Anon stone (shown by on map below) in PoK. This will take you to The Steamfont Mountains. From here, head to the very North East corner of the zone to the Loping Plains zone line. From here, head straight West almost until you hit the wall, then head North to the Hills of Shade zone line. Alternatively: You may take the Guild Hall portal to Dragonscale Hills, then head North to The Steamfont Mountains zone lin. Use the Dragonscale Faycite on the portal merchant. Talk to Herald of Druzzil Ro in PoK (shown by on map below), tell him "time" and he will port you to the Plane of Time. In Plane of Time, click on the purple portal looking thing, it is just South of where you zoned in. Once in The Void, walk down the ramp and go through the second portal on your left, then through the portal just in front of you. From Plane of Knowledge, use the Ak'Anon stone (shown by on map below) to get to The Steamfont Mountains. Head to the far East part of the zone. You'll see a loading dock, and if you are lucky youll see a big blimp. Climb aboard the blimp (or wait for it if you must) to get a ride to Argath. From Argath, Id recommend wathing our zone walkthrough video for directions to the Valley of Lunanyn zone line. This video can be found on our Argath, Bastion of Illdaera Zone Overview page. Alternatively: You may take the Guild Hall portal to Argath, Bastion of Illdaera. Use the Chunk of Argathian Steel on the portal merchant. 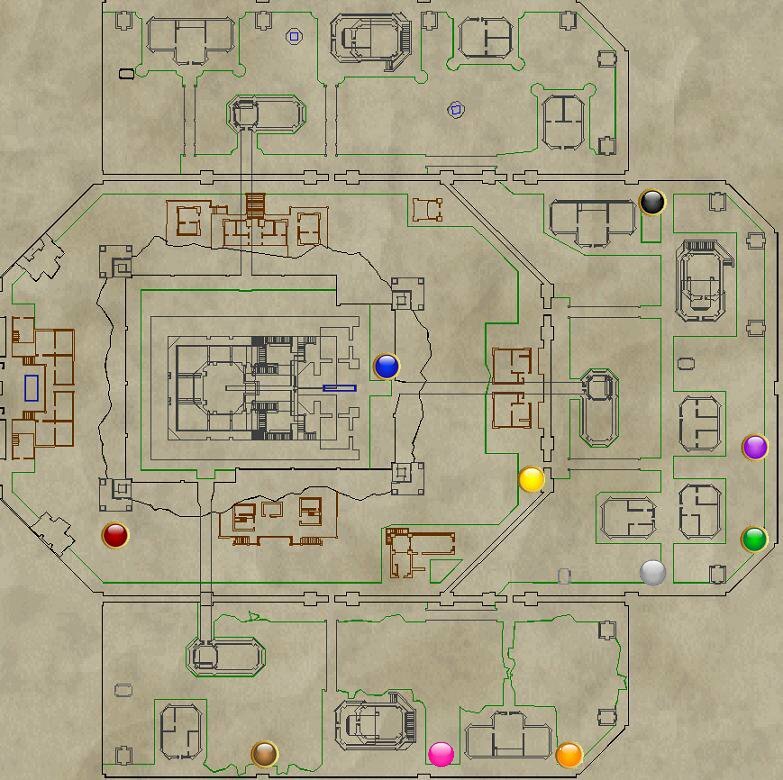 From Plane of Knowledge, use the Oggok stone (shown by on map below) to get to the normal Feerrott zone. In Feerrott, you will find a statue located along the south wall (Here is a map showing the location of this statue). Click this statue to zone to Feerrott, the Dream. Once here, turn around and click the big door behind you to zone to House of Thule, Lower Floors. Now head straight up to the house, and through the first two doors. Now take the second door on your right. Follow it north, then you'll notice the wall on the left side is pushed in a bit. Click the pushed in portion of the wall to reveal a door. Go through the door, then straight through the painting. Go straight to the statue then take a left, you'll see a door just to your right. Click it to enter The Grounds. Alternatively: You may take the Guild Hall portal to Feerrott, the Dream. Use the Crystallized Dream of the Feerrott on the portal merchant.